After explaining this evening to my partner that the majority of my blog posts are created via Microsoft Word as I find it a lot easier to edit. He asked if there was some kind of plugin for Word that would allow me publish posts directly from MS Word to my WordPress blog. I’d never thought of this before but it made sense so after dinner this evening I did my research and came across a nifty little tool called Open Live Writer. 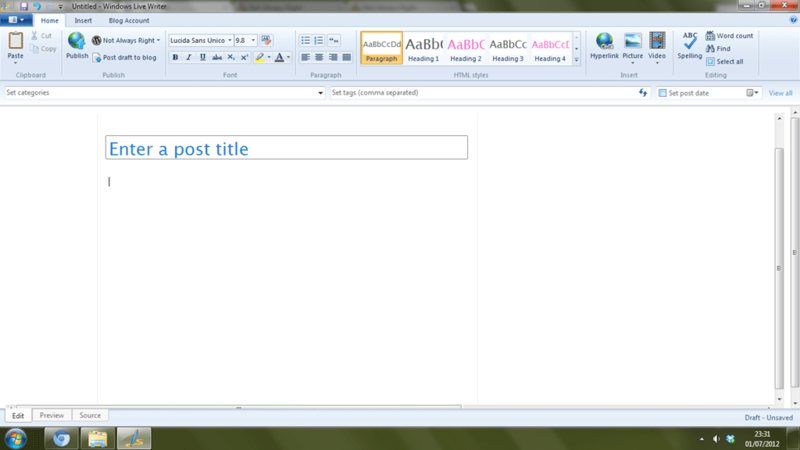 This editor allows me to compose blog posts and publish them to my WordPress blog. The best part about it is that I can blog anywhere on my laptop, I don’t have to be connected to the internet and can simply press the publish button when I want. It has a what you see is what you get feature so there is no need to worry about html, spacing, and the placement of images. 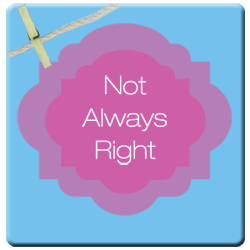 Even while editing your post it displays exactly as it would when you have published the post to your blog. 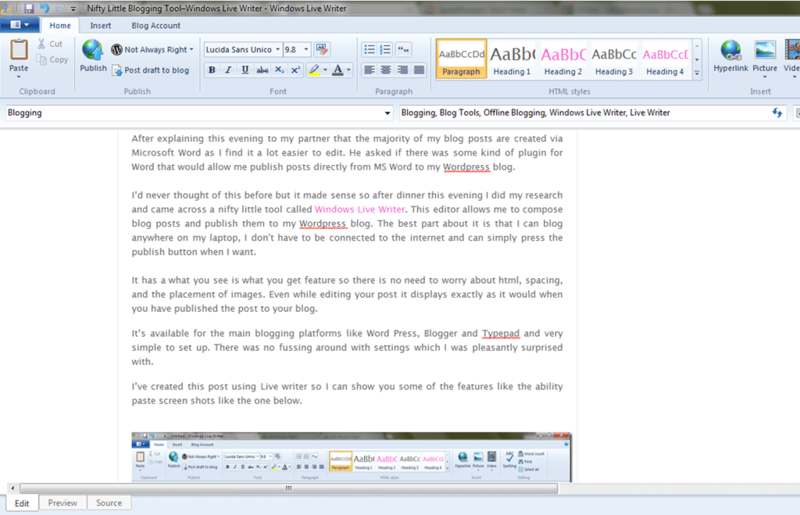 It’s available for the main blogging platforms like Word Press, Blogger and Typepad and very simple to set up. There was no fussing around with settings which I was pleasantly surprised with. I’ve created this post using Live writer so I can show you some of the features like the ability paste screen shots like the one below and also the ability to crop and edit images. You can also import from your Facebook, Twitter etc and has some great plugins available to make your blog posts stand out. So far I can say that I am rather impressed and I wish the Mr had thought of it sooner. Next articleDear Fairy Godmother, please make me skinny!